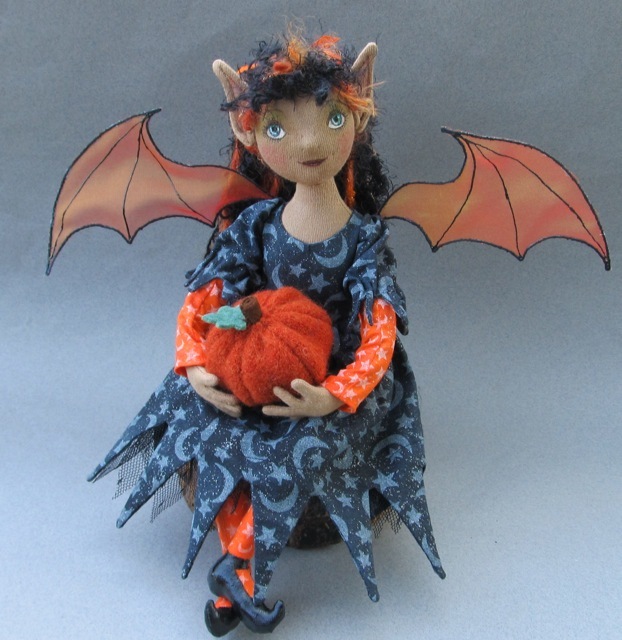 The Fairies Nest - OOAK Cloth Dolls & Fiber Fantasies: Happy Halloween! What a beauty!! Happy Hallos! Happy Halloween to you too! And thank you for this image of your sweet fairy. Reminds me to tell you again that my little autumn fairy brings me joy every single day! I dearly love her.